Michele is the City of Toronto’s first Film Sector Development Officer, a role that provides strategic insight into growing Toronto’s Film, Television, Animation and Digital Media industry. She is a 25 year veteran of both production and government, and a Gemini nominated director. She shares a home with three daughters and a dog named Boo Radley. Michele is the City of Toronto’s first Film Sector Development Officer a new role that provides strategic insight into growing Toronto’s Film, Television, Animation and Digital Media industry. She is a 25 year veteran of both production and government, having worked in Film & Business Development at the Ontario Heritage Trust where she created the provincial film policy for their portfolio of heritage sites. She oversaw more than 200 productions at landmark sites across the City, establishing filming locations that continue to be high demand, film-friendly and iconic. 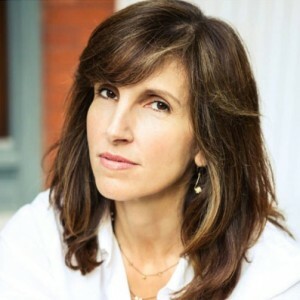 Michele is a Gemini nominated director who has produced and directed hundreds of hours of lifestyle and unscripted programming both in Canada, the US and around the globe. A writer of scripted drama, she has worked extensively in Development with local production houses and broadcasters and has a Manager waiting on her next rewrite in Los Angeles. Michele is a McGill University graduate with a joint degree in Political Science and History, and holds a degree in Classical Animation from Sheridan College. She shares a home with three daughters and a dog named Boo Radley.